Strawberries & Cream Body Butter is a delicious recipe of 30% Shea Butter and coconut oil to moisturise and condition skin. With pure Ylang Ylang and Rose essential oils to leave you smelling delectable! 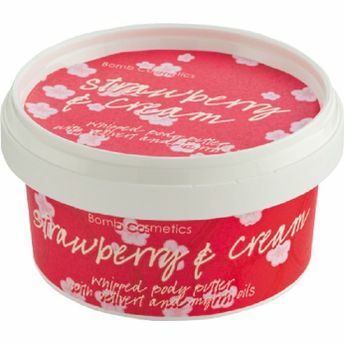 A fresh fruity fragrance combining juicy Strawberry with a tangy Raspberry heart resting on a base of cream and vanilla.